I promised to give you some fish recipes, so here goes. 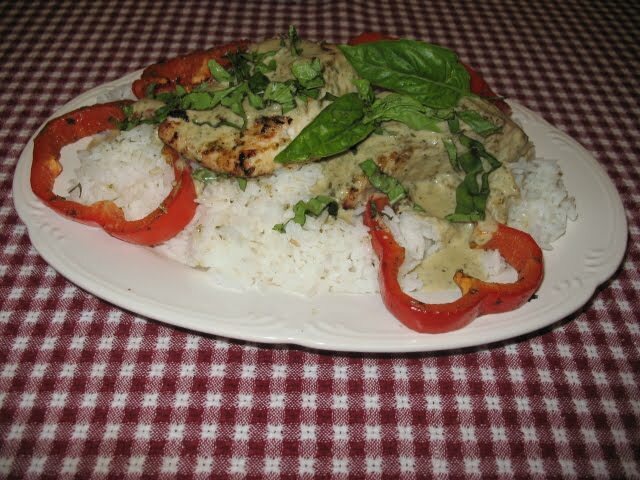 This one is for Thai green curry fish and it’s adapted from a recipe in Sunset magazine. Yummy! 2 cups cooked white rice. 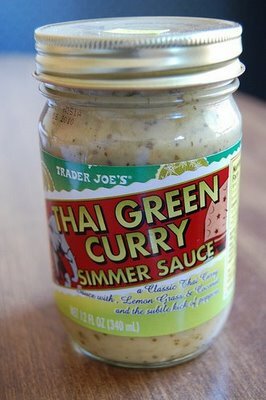 Put the curry simmer sauce in a food processor with half of the fresh basil leaves. Process until the leaves are very finely minced and mixed with the sauce. Pour the sauce into a 1 qt. saucepan and simmer for 10 to 15 minutes on low. Cut the pieces into 4 or 5 ounce servings. Dip the fish and the red pepper rings in the coconut/curry mixture. Heat grill to medium high. Grill fish on the center (hottest) part of the grill and the red peppers on the outside for 5 minutes until the red pepper rings are beginning to brown and the fish is cooked through. Put the rice on a large platter. Put the fish fillets and pepper rings over the rice. Cover with the green curry mixture and sprinkle with fresh basil leaves. 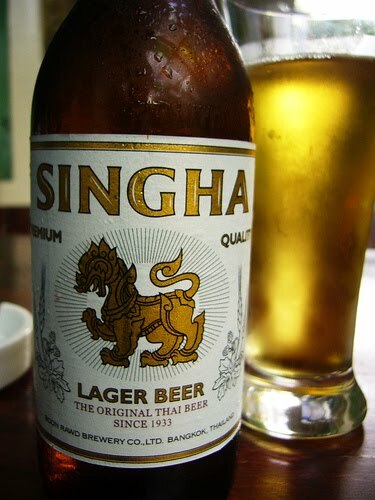 Serve immediately with a crisp Asian-style beer like Singha. Serves 4. Having trouble finding the ingredients? You can order them from my favorite Thai food exporter HERE.